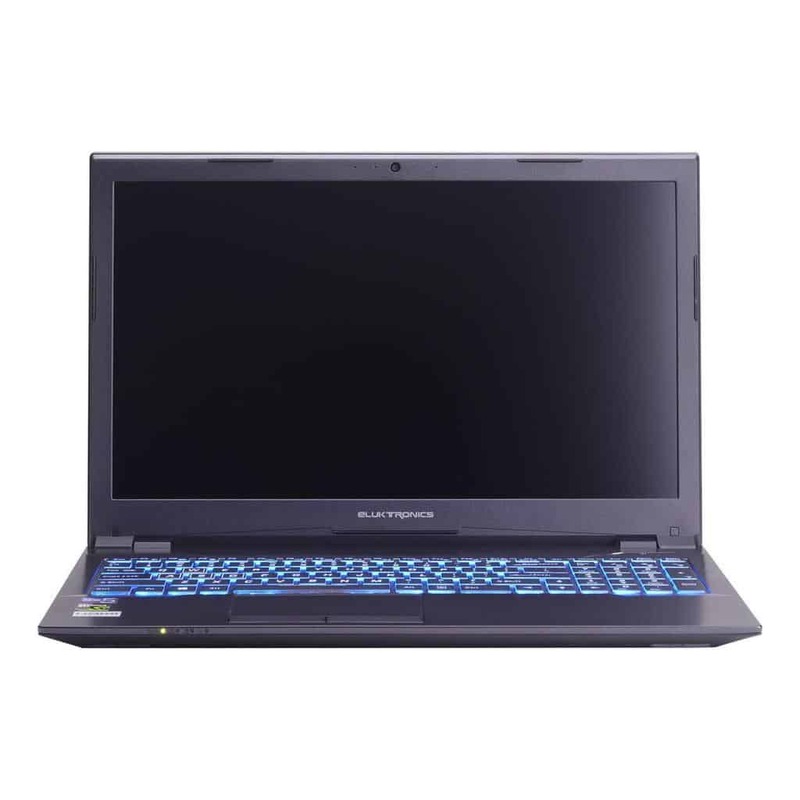 The Eluktronics NB50TK1 laptop features a number of great features and packs a professional look to go with. You won’t be embarrassed walking around with it and it also won’t let you down performance wise. We recommend it for power users in graphic arts, gamers or just anyone who wants a future-minded laptop offered at a competitive price. Weight slightly leans on the heavy side so best used on a desk. The reverred Eluktronics NB50TK1 Gaming Laptop comes from a relatively unknown US brand. And at first, we were very skeptical about a laptop from them, just as anyone would with a new entrant in the market. But the specifications on this laptop were mind-blowing. I would assume a new entrant would start at the lowest end of the market to build confidence. But Eluktronics seemed to have been more interested in the premium laptop arena. They sort of went for the jugular of the entry-level gaming rigs which is a market with plenty of competition. So far they’ve run a tight ship resulting in great laptop builds, and we hope that will remain the same over the coming months/years. Disclaimer: the Eluktronics NB50TK1 laptop we review isn’t one to brag with gaming DNA, but it complements that with performance. From a distance, nothing about the Eluktronics NB50TK1 laptop is flashy or gaudy. We loved the modest but elegant design found here, nothing like the MSI or ROG we’re used to. Looking at the specs you realize much attention was placed on the functionality rather than the outside, but that’s particularly for the N-series. And that’s no deal breaker especially because the body still is impressive and doesn’t scream gaming. The display is as impressive as any other competition out there. It sports a 15.6″ IPS Full HD (1920 x 1080) Matte screen. 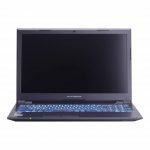 Eluktronics worked hard to make sure there is more than one option by offering different iterations of the laptop brand. We reviewed the Eluktronics P650HP6 15.6″ FHD Laptop which is another potent option for gaming. Our list still grows nonetheless, as we endeavor to break down this brand down and find the truth about its real potential. The Eluktronics NB50TK1 is a refreshed edition of our very popular W650KK1 series with more advanced feature like the 8th Gen processor. As far as ports go, the Eluktronics NB50TK1 is equipped with 2 USB 3.0 Ports, 1 USB 2.0 and 1 USB 3.1 Gen 2 port (Type C) to future proof this device and get ahead of the curve. There is an HDMI (with HDCP) for connections to additional monitor just like other premium laptops like the Samsung Ativ Book 9 Pro and the Dell XPS 15 Touch. Moving on, there also a Mini DisplayPort (which also works remarkably well with external monitors especially if you have a 144Hz monitor. Expect great frame rates with no discernible framerate loss), Gigabit Ethernet, Headphone jack (is on the right side of the laptop just so you know), Microphone jack and SD Card reader to cater for your image /video transfers. Other connectivity options include the Intel Wireless-AC 9560 + Bluetooth v5.0. On performance cycles, the Eluktronics NB50TK1 laptop brags of some pretty strong features that are a great arsenal capable for handling the challenge of triple-A games. Thanks to its Intel® Core i7-8700 Quad Core processor, the Eluktronics NB50TK1 has an above the par clock speed. The processor coupled with 16GB DDR4 RAM and 512 SSD storage makes it a good choice for power users who want to stay productive. Additionally, for those people who 512 SSD storage might not be enough to cover their needs, there is one empty RAM slot (One 2.5” 7mm HDD / SSD) for extra space installation should you need the upgrade (You’ll need to take the bottom off for that though). So in terms of specifications, the Eluktronics is at par with the Dell XPS9560-7001SLV-PUS 15.6″ laptop, Asus Zenbook Pro, Dell XPS 15 and the Acer Aspire VX 15 Gaming Laptop. As for gaming performance, it brags of the 4GB GDDR5 VRAM NVIDIA® GeForce® GTX 1050 Ti which is a beast especially when it comes to handling games with 1080p. While not new or full of performance muscle, the Nvidia GTX 1050Ti is great for gameplay at Full HD. On our gaming test, we tried a couple of recent titles to test its strengths. Mass Effect Andromeda 2017 played on low settings (1280 x 720) resulted in 132 fps, Ghost Reckon Wildlands 2017 106 fps on the same settings and For Honor 2017 managed 65 fps on medium settings (1920 x 1080). Others like Resident Evil 7 2017 managed 59 fps on medium settings (1920 x 1080) and 38 fps on ultra high settings (1920 x 1080). Generally, 2016 games managed higher fps on lower and medium settings. Watch Dog 2 2016, Dishonored 2 2016, Call of Duty Infinite Warfare 2016 and Titanfall 2 2016 all managed above 60 fps on medium (1366 x 768) settings: 74.3 fps, 72.2 fps, 102 fps, and 128 fps respectively. So how great is the Eluktronics NB50TK1 Pro Battery life? Eluktronics NB50TK1 battery life isn’t much as other regular task laptops. It promises an average of 5 hours of battery life on this laptop. While at times I think the number on manufacturing websites are a gimmick to get you to buy ( It’s always slightly inflated), there is evidence backing up to 4 hours of life. Additionally, I’ve only found a few that state figures that remain true in our tests. The best answer to this question always depends on your usage. So for this case, if you’re planning on gaming, expect at least 1 to 2 hours. For web browsing, it should get you at least 3 to 4 hours. The battery is a 6-Cell 47WHr and comes served with a 120 Watt AC Adapter. If you value laptop speakers and often listen through them, you’ll be glad to know they are pretty decent. The Eluktronics NB50TK1 comes with two in-built speakers by Onkyo Speakers. Laptop speaker don’t make an impression on me because one can use headphones and sub-woofers but that surely isn’t the case for everybody. For those constantly on Skype and other conference calls, you can rest assured the Eluktronics NB50TK1 is loud and properly audible. Speaking of webcams, there is a 1.0MP Full HD Webcam and Array Mic Microphone which supports Windows 10 Cortana Voice Command. ‘The webcam images are poor and you shouldn’t much but it should just get you by through calls. To sum it all up the Eluktronics NB50TK1 Laptop is a very impressively built and designed laptop. It has almost all the bells and whistles that a vibrant and modern gaming laptop would need. I’m talking about a sharp screen with great viewing angles, a well-stocked port system, latest processor, ample storage and RAM size. To crown it all, it promises performance that’s at par with major brands in the market. For users not afraid of new brands and who are always on the look-out for thriving possibilities, this laptop surely fits the bill. Alternatives? Of course, there are more than a couple. We’ve listed some of the most common laptops in the entry-level gaming field. The Acer Predator Helios 300 has the most followers and is one with the most compelling performance. Related: Check out the HP 22-b016 All-In-One Desktop, if you’re into AIO desktops too. So is the Eluktronics brand a good brand? I’m no shill. This laptop brand does surely show a lot of promise and for the price, it definitely deserves a checkout. And of course, it is a good brand, at least from our experience.